The Oval Decor Copper Party Tub Wine Cooler and Ice Bucket, 11 Gallons will turn heads at your next major event. 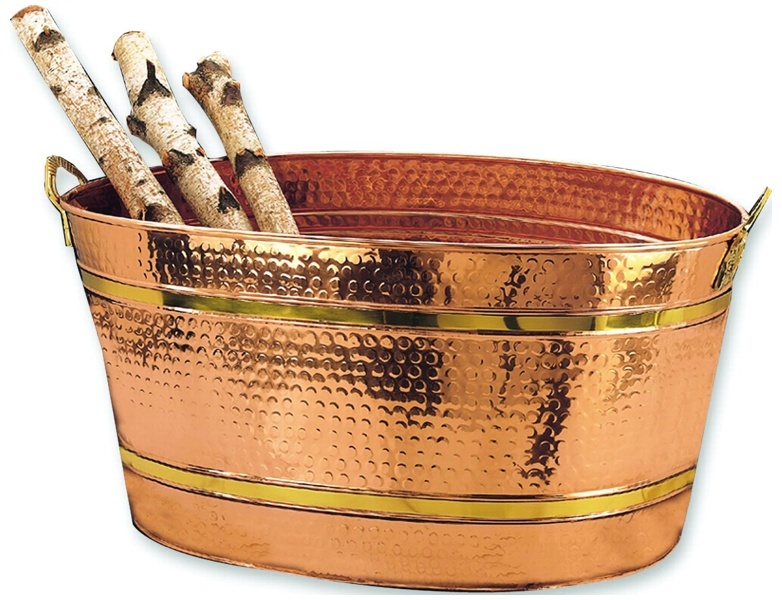 Designed for keeping bottles or can cold, this generously sized copper beverage tub has a classic hammered look. The oval-shaped tub has decorative accents and a handle on both ends to take the challenge out of transport.